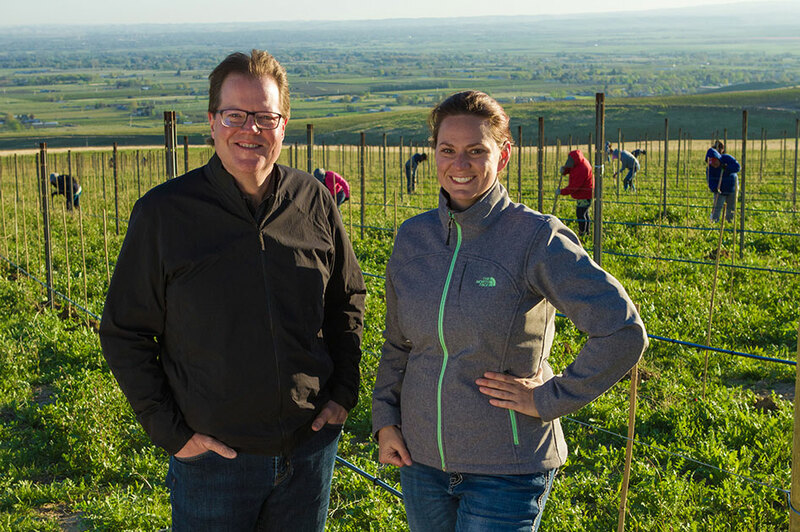 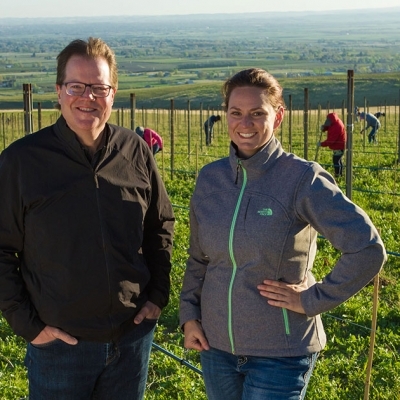 Marty Clubb with Sadie Drury, Viticulturist at our Estate Ferguson and Seven Hills Vineyards. 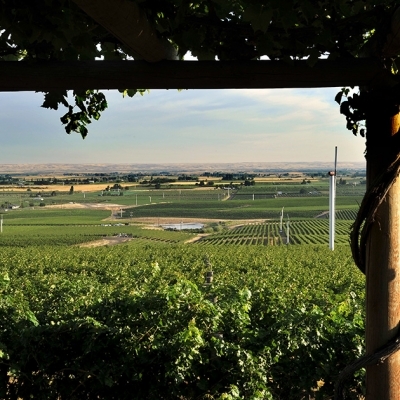 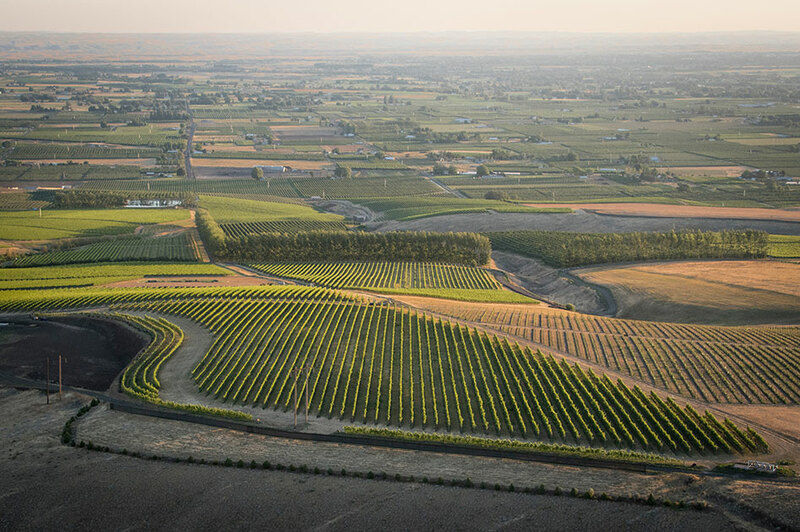 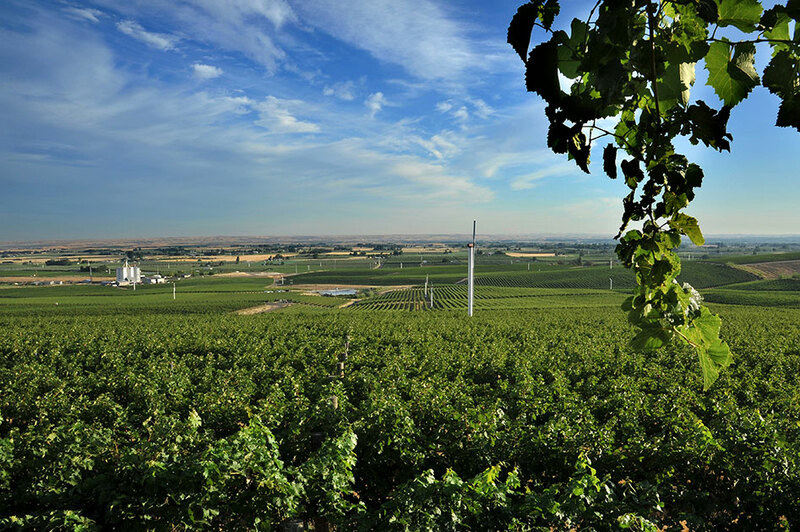 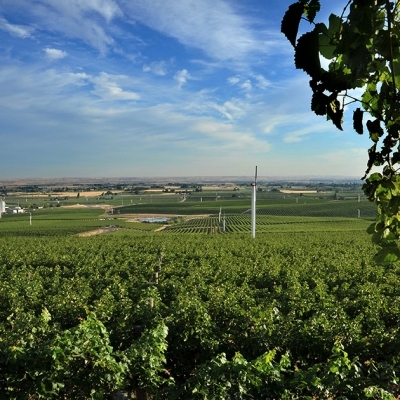 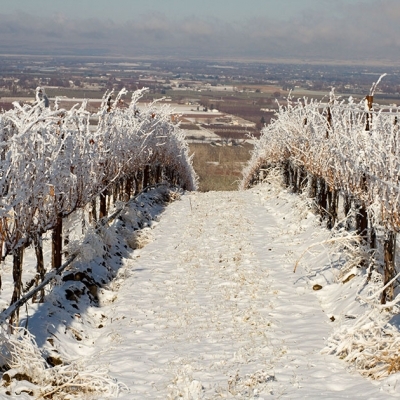 The view from the top of the hill looking at our Estate Ferguson Vineyard. 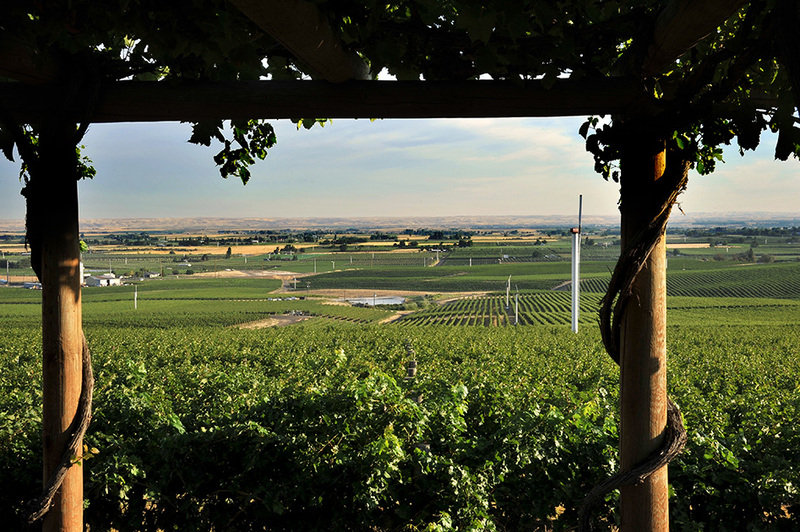 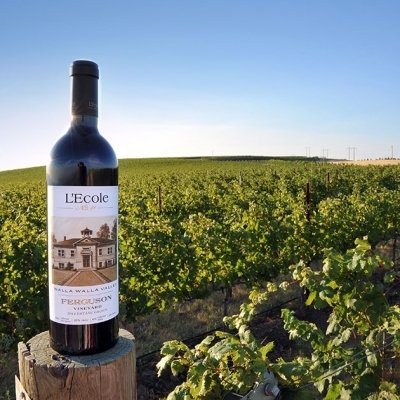 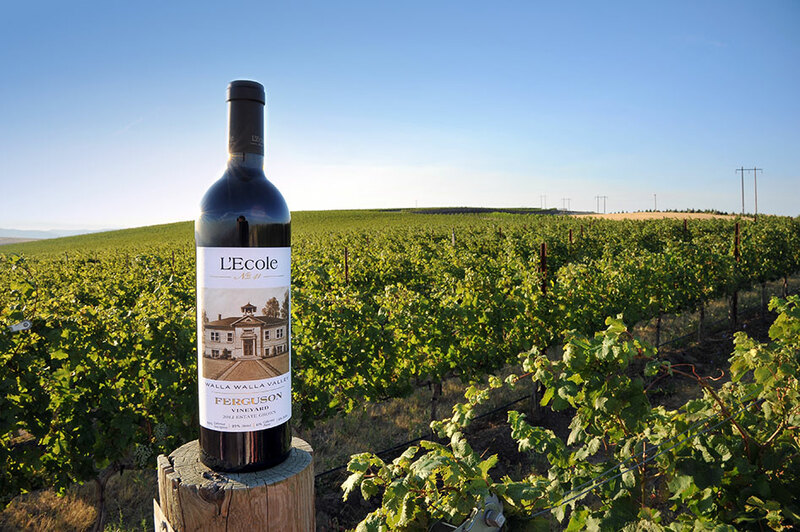 The view from the gazebo at our Estate Seven Hills Vineyard. 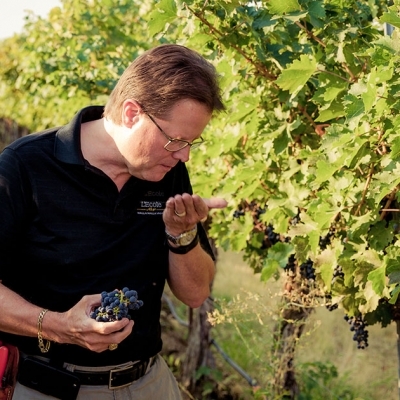 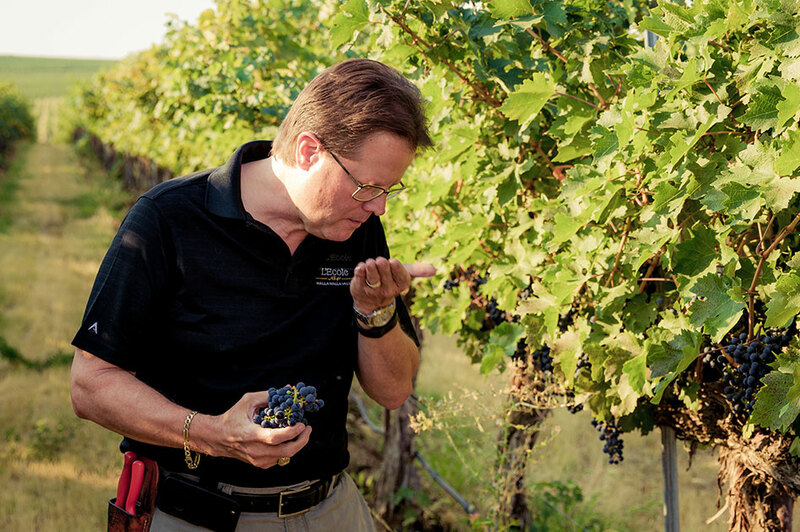 Marty tasting grapes for ripeness. 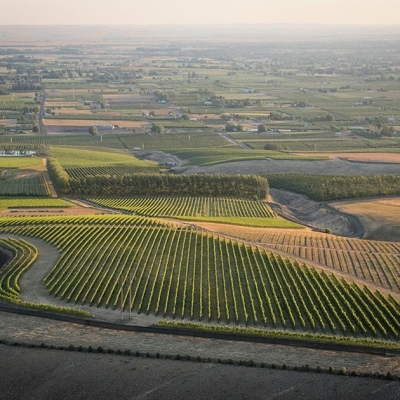 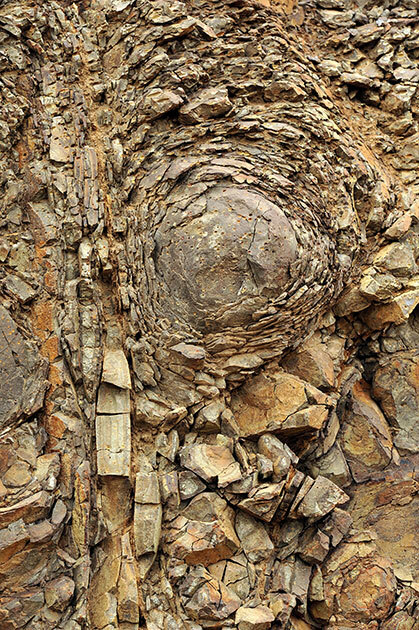 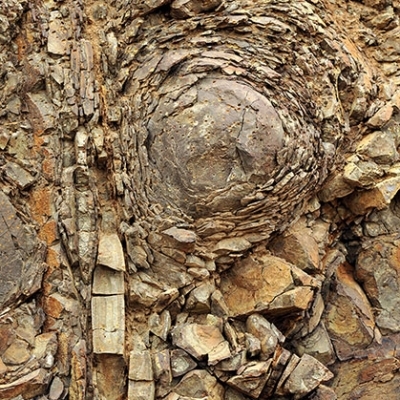 Closeup view of the exposed fractured basalt wall that underlies our Estate Ferguson Vineyard. 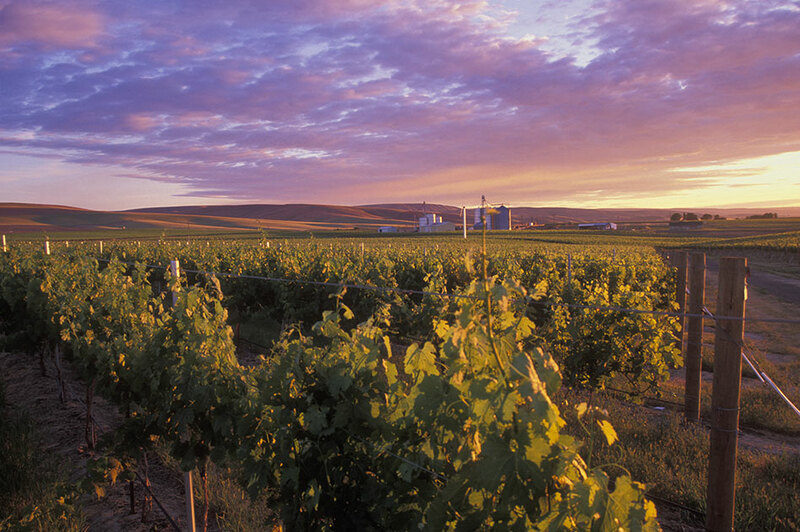 Ferguson seen in our Estate Ferguson Vineyard. 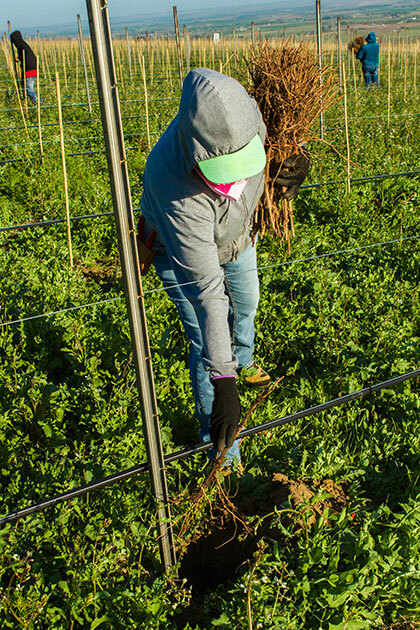 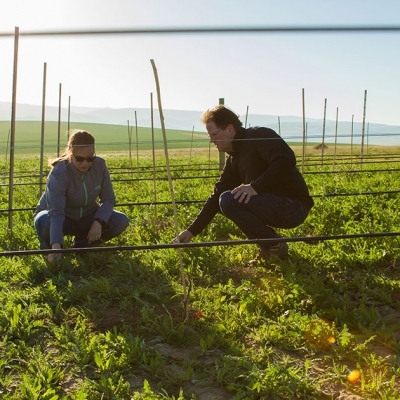 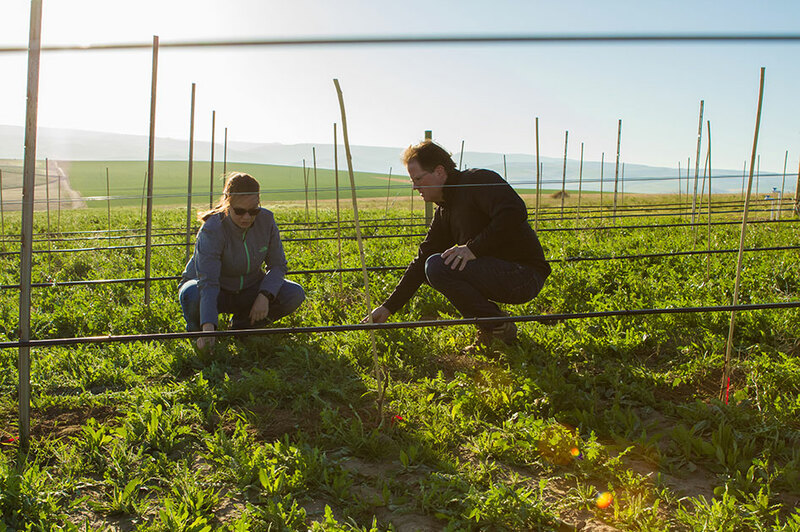 Marty & Viticulturist, Sadie Drury checking the cover crop at our Estate Ferguson Vineyard. 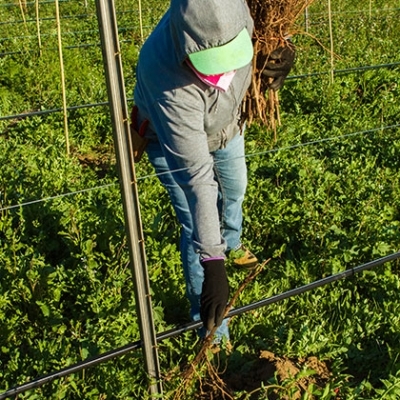 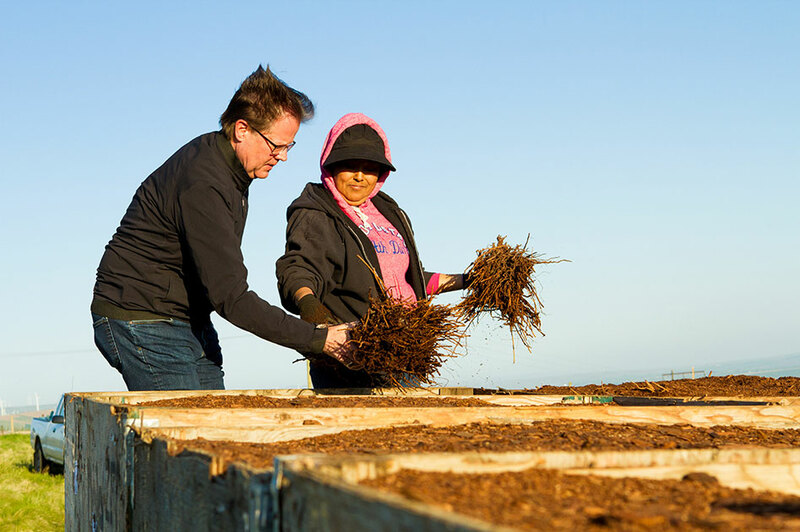 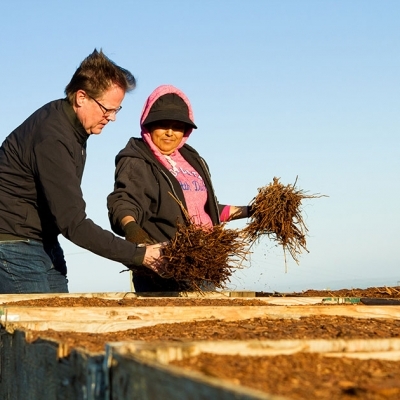 New vines being planted at our Estate Ferguson Vineyard during the 2016 expansion. 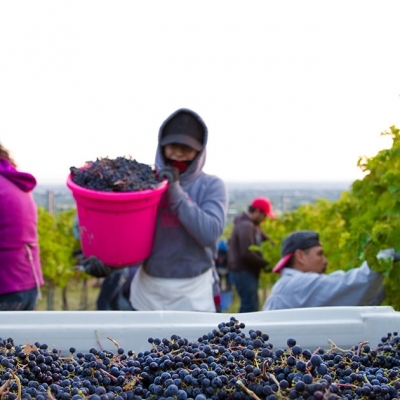 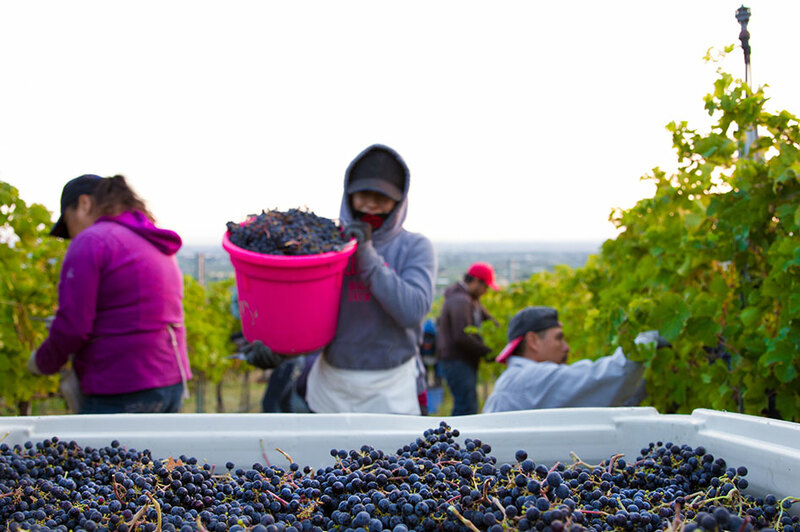 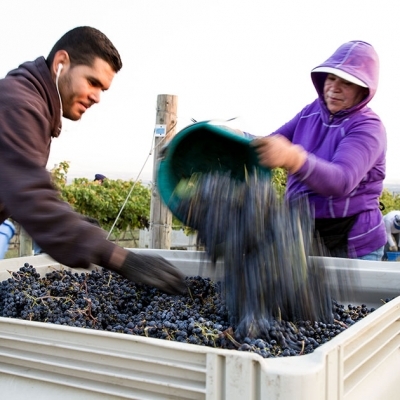 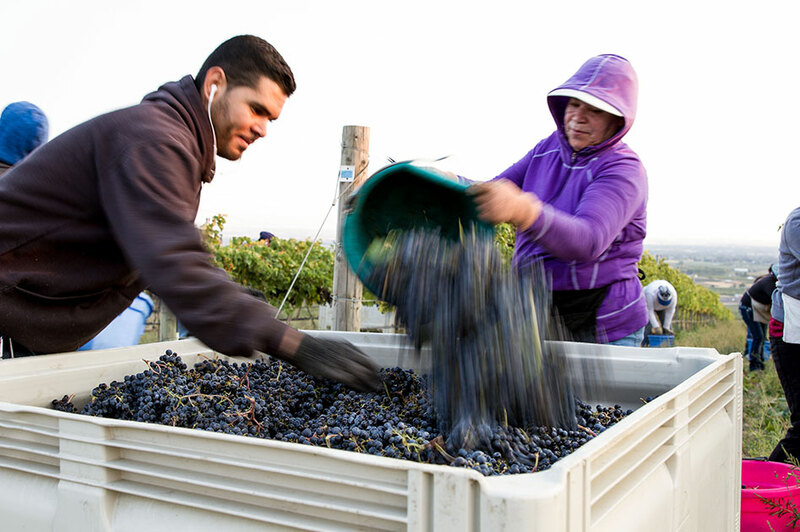 Harvest at Estate Seven Hills Vineyard. 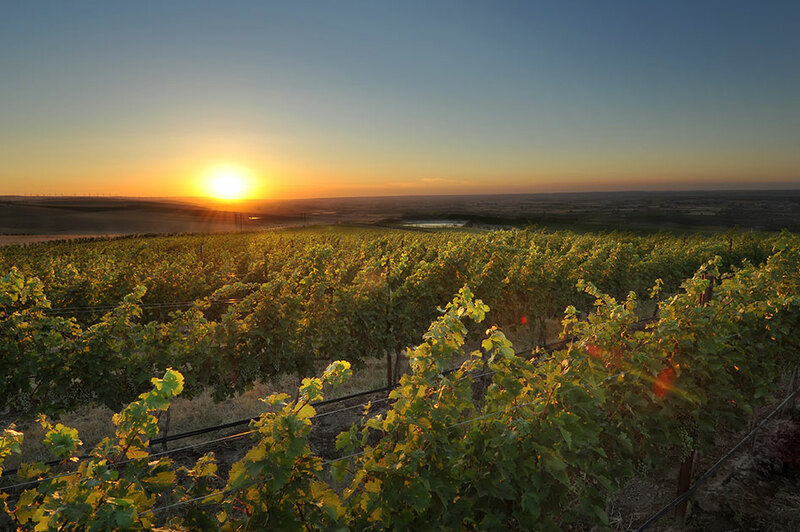 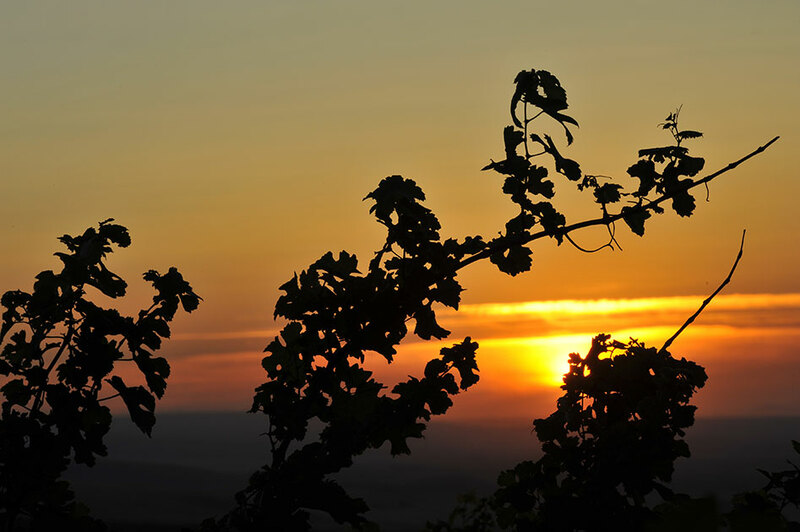 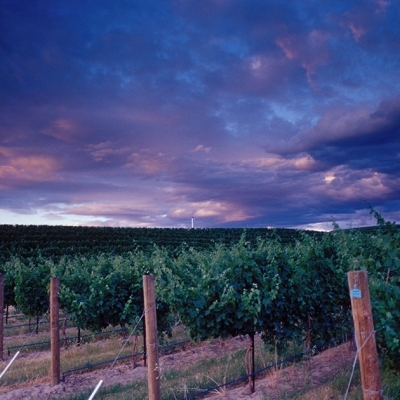 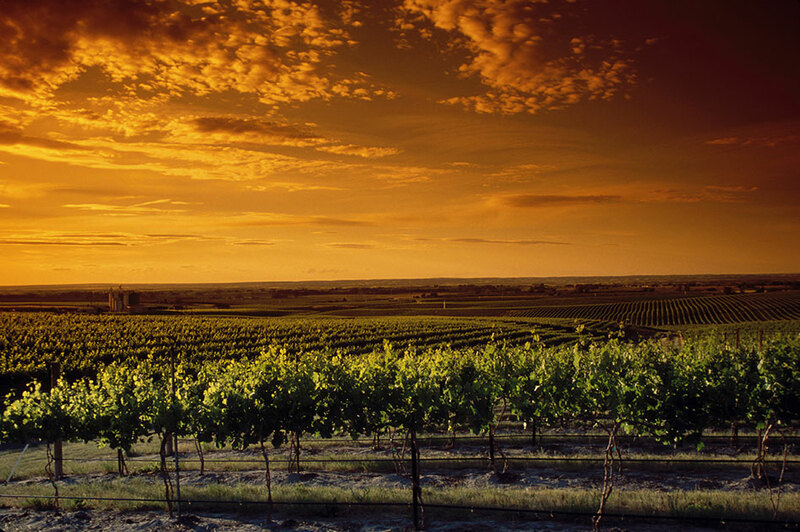 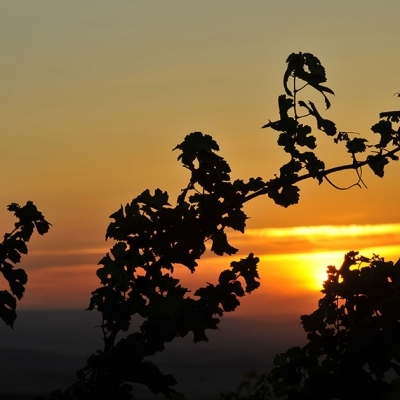 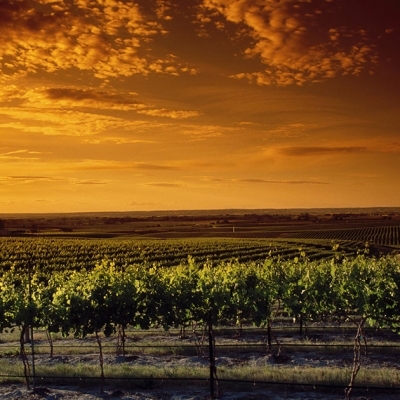 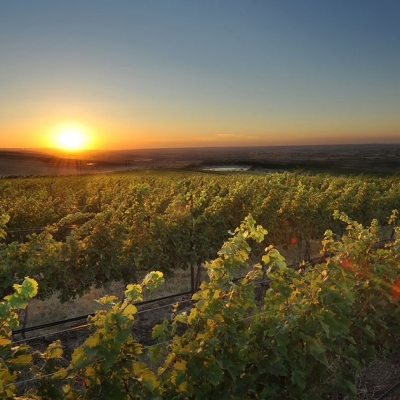 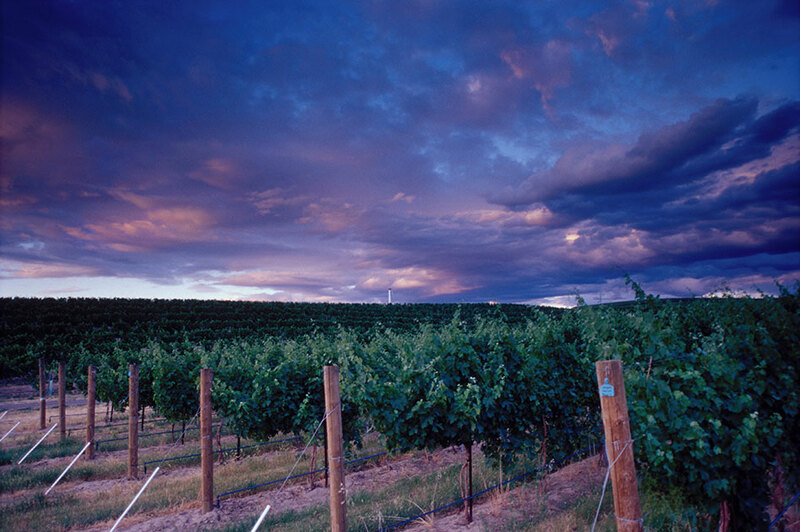 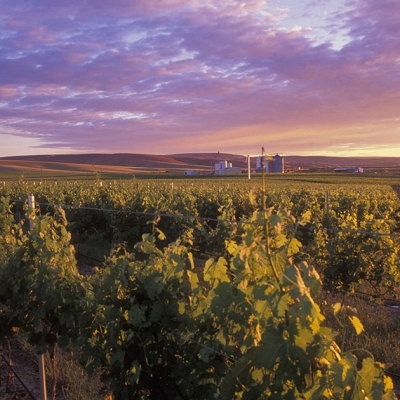 Sunset at our Estate Seven Hills Vineyard. 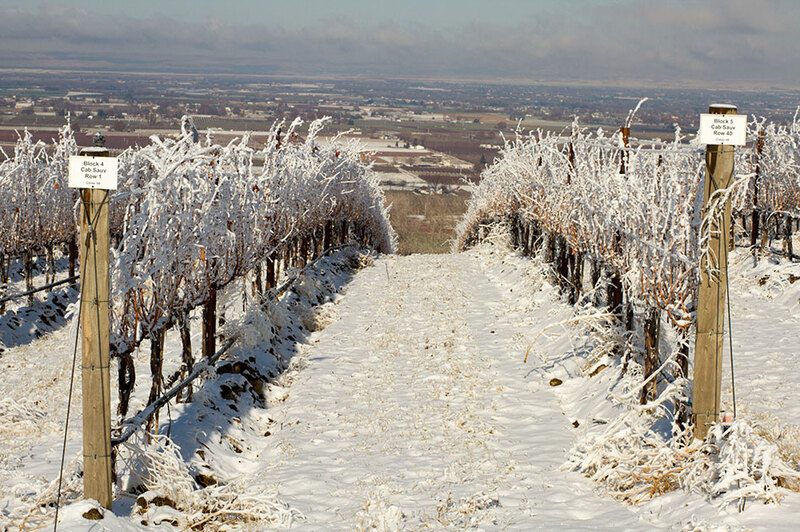 Frosty morning at our Estate Ferguson Vineyard.